Visit a nice beach and beautiful places and try all the delicious Halal food around Chonburi province. I will guide travellers not only sightseeing places, but also good restaurants and Masjids around Bangkok and other cities. Visit Erawan museum. The place's well-known for its giant three-headed elephant art display. The three storeys inside the elephant contain antiquities and priceless collections of ancient religious objects. Have lunch and pray at Masjid Deenul Islam. Head back to Bangkok. Stop by Angsila fish market and pray at Cholburi Central Masjid, before leaving the town. Drop you off at our meeting point and have a good night..
Sightsee Bang Saen and its local attractions. Pay a visit to local mosques and grab some delicious Halal foods here. Some places are very local. Some are the famous icons of the town. I'm pretty sure you'll love them all. Learn and observe Muslim community and its culture. Be off-the-beaten-track. 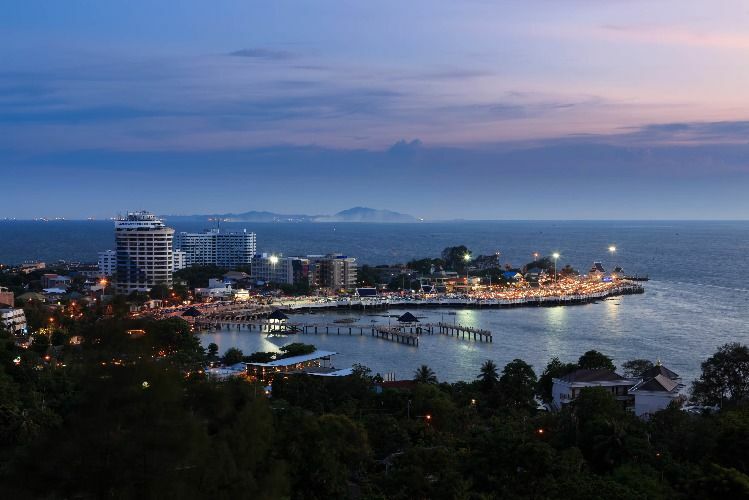 The gems of Bang Saen await! Our guude was super sweet but we had a lot of trouble understanding him. He also didnt really know much about thailands history. I liked this tour because Fawzi is interested in cultural exchange and sharing local history. He isn’t one to just tick the boxes of where to take you, but instead tells you what you’d like to know, and can share about local culture and history too. He’s like a trusted insider who can give all sorts of pointers and advice to tourists.